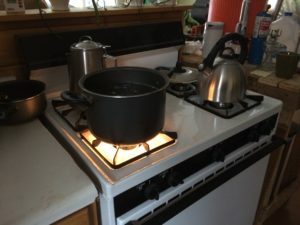 In order to put an end to a few weeks of cooking on a camping stove, after getting propane hooked up to the stove that came with our cabin (which was an adventure in itself) we fired up the stove which came with the cabin when we purchased it. It seemed to work, but left soot on the bottom of our pots and pans. a couple days later we upon using the oven set off our carbon monoxide detector. By we set off the carbon monoxide detector I mean that Bailey did while I was at work (this is also a good lesson in why you should have a carbon monoxide detector). 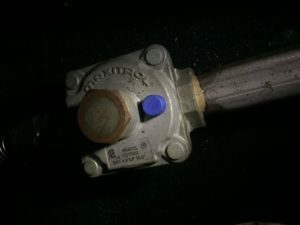 After doing some research I found out that the flame should be blue, not yellow or orange and that possible causes of a malfunction like having yellow flame and producing carbon monoxide included too much pressure, not having the appliance converted to propane from natural gas and not enough air available. In our case, it turned out that the stove had not been converted from natural gas and I found a manual for a similar model of stove and followed it to do the conversion and adjust the airflow and pilot light level. I also borrowed a gas meter from work to see exactly what the carbon monoxide levels were which was reassuring to know when they were within safe levels. If I hadn’t had access to something like this I would’ve wanted to get help from someone more knowledgeable about gas appliances. In the end, we now have a stove that isn’t going to kill us, but it still doesn’t heat to the temperature the oven is set at. 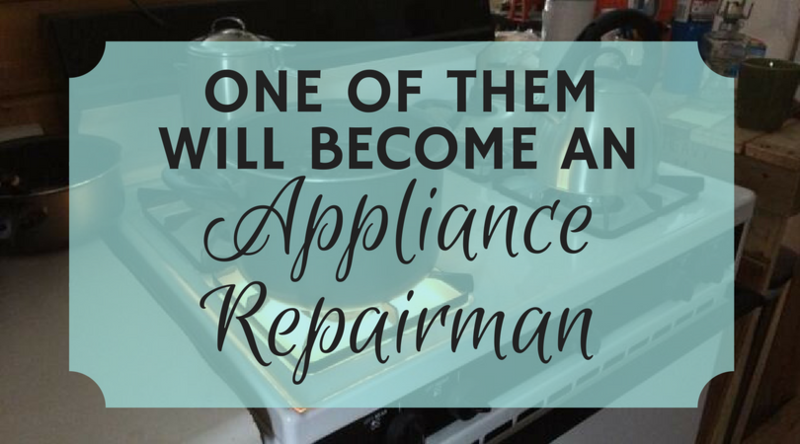 Having appliances that won’t kill us is a great life goal. Superb. 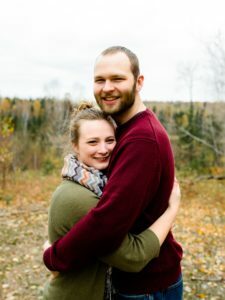 I was quite anxious about it after it went off the first time that I made Mark go back to work that evening to get the gas meter so that I could know if we could sleep in the house that night without dying. The gas meter told us that the highest concentration of carbon monoxide had gathered in our bedroom. Fancy that! I’m so glad Mark was able to check out the device from work! We were able to air out the house until the carbon monoxide levels were safe again. Then we slept well. Or at least Mark did. Once he fixed it we haven’t had a problem beyond hoping we get the temperature we ask it for. Depending on the day the oven works like a charm and other days it thinks 200 degrees is 500 degrees. Maybe it’s female? After I had done the conversion we went to bake biscuits at 400 °F and after preheating the oven Bailey said that it was too hot for her to turn the knob on the stove top and had me come check it out. I discovered that the oven thermometer we had gotten from her parents was reading at 600°F which is its maximum reading. We clearly still have a problem and are considering our options, but we are glad that we can cook on a real stove without risking our lives. Oh, yes, the knobs. When the oven decides that it is going to be an excessive over achiever, the knobs, which are conveniently placed just above what appears to be vents, become burn-your-hand hot and stiff so that it is hard to turn them down or off. All too often I’m forced to use hot pads to manage the oven. It’s still nice to use this over the camp stove and is much safer. For the most part. We’re used to it.